In the picture below, we see three forms of character assassination. Firstly, the masks of then British Prime Minister, Tony Blair, exaggerate his facial features to make him appear sinister and frightening. 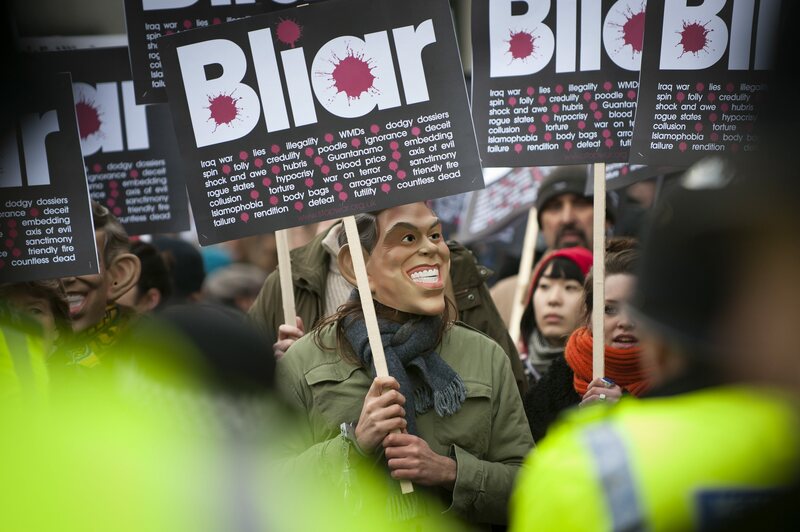 Secondly, we see a word play on Blair’s last name; by simply rearranging the letters, the word “liar” is incorporated. Finally, the so-called “halo effect” is employed. Creating a halo effect for an office holder means that whenever his or her name is spoken, it is combined with a specific set of derogatory words or images. Such is the case here: Blair is called a “liar”, along with a series of words on the posters such as “ignorance”, “body bags”, and “failure”. Attaching these words to Blair’s name is meant to establish a permanent association between these accusations and the person of the Prime Minister in the eyes of voters. Some forms of character assassination come in the form of photographs. Such photographs are designed to capture a public figure in a displeasing or vicarious moment, for example a picture of a politician making an unusual expression. 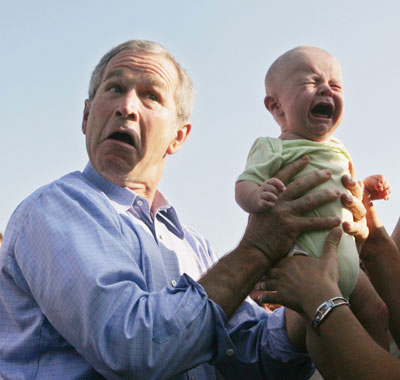 The photograph of US President George W. Bush holding a baby is a perfect example of this method, as it is intended to reinforce the image of a buffoonish, unpopular, and greatly disliked figure. This photo also implies that even those who are the furthest removed from politics, such as infants and children, share loathing for the president. 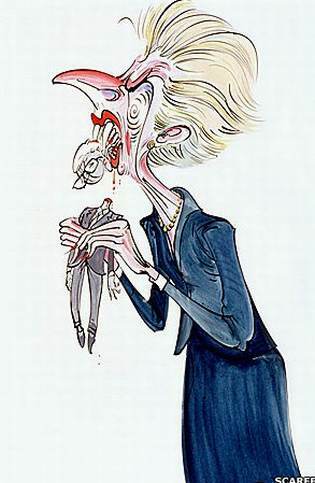 A political cartoon of former British Prime Minister Margaret Thatcher portrays her as a vicious “man-eater”. Labeling women as “man-eaters” carries the implication that they are devoid of feminine characteristics, displaying agression and ruthlessness instead; traits that are often considered to be typically masculine. Here, Thatcher is illustrated to look inhuman to convey that she is an aggressive politician who will stop at nothing to achieve her ultimate goal, which is to obtain power. A caricature of Charles Darwin, father of evolution, that was published in 1871 in the British satirical journal The Hornet. 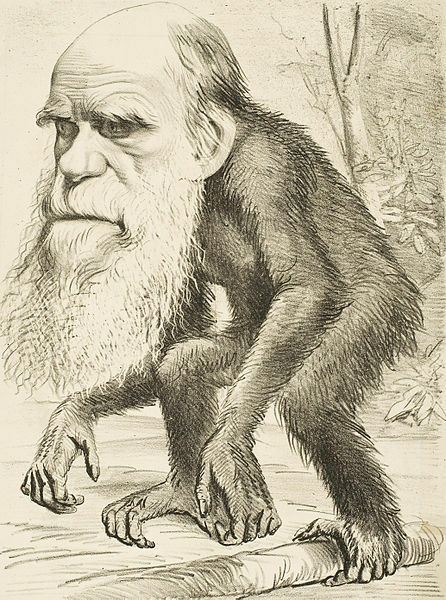 Darwin presented the theory that humans and apes share a common ancestor, a proposition that was highly controversial in Victorian England and seemed absurd to many of his contemporaries. This is conveyed through the caricature, designed to ridicule Darwin and the theory he proposed. The biologist is made to appear as a ludicrous creature, straight out of legend, to imply that his scientific ideas were illegitimate. A graffiti drawing of the Roman Emperor Nero, made by a Roman soldier in the basement of the imperial palace. Famously known for prosecuting Christians and burning them to use as torch lights for his garden parties, Nero’s reign was marked by tyranny and extravagance. His true character has been distorted by history, with many of the facts surrounding his reign being exaggerated or invented to enhance the picture of a depraved, despotic ruler. While some elements of Nero’s character may be authentic, his true nature is probably lost behind the exaggerated image created by hostile sources. Character assassination can come in many forms, with the use of images as one of them. 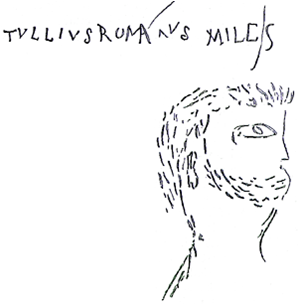 Such images designed for the original purpose of discrediting an individual’s character, reputation, or legitimacy include political cartoons, paintings, and even photographs. Character assassination through images is a practice that has been utilized throughout the ages, as we will see below.